Here at 1 FUR 1, we support programs that help animals and people alike. Two terms we often use for these programs are animal-assisted therapy (AAT) and animal-assisted activities (AAA). Both have been shown to be very beneficial for animals and humans alike, but there is little information out there about the difference between the two, and it’s an important distinction. Let’s look first at AAT. 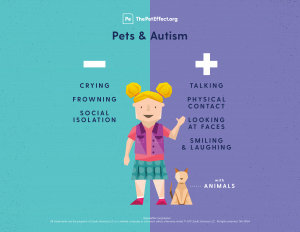 human-animal interaction to alleviate mental and physical problems of persons with disabilities.” AAT focuses on how animals can fit into a comprehensive therapy program. 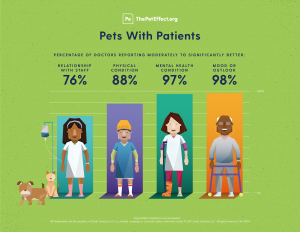 According to PetPartners.org, AAT programs set goals for the patient and measure progress of the patient. For example, while both AAA and AAT programs might take a dog to a nursing home to cheer up patients, the AAT program will have a licensed therapist working with the elderly patients, ensuring that they retain motor skills by brushing the dog’s fur and tracking the patients’ behavior to see if the presence of the dog lifts their mood. In part 2 of this blog, we will delve into Animal Assisted Activity (AAA) programs. While AAA programs have been shown to be just as beneficial as AAT programs, they are different in some surprising ways. For instance, cats are absent from AAT programs, despite their popularity as pets and well-documented calming presences. Why is this? Find out in Part 2: AAA. What do you think of this blog? Talk to us on Facebook and Twitter. We believe in making a world of difference for animals and the people who love them. Sign-Up for our free monthly e-newsletter to learn how.